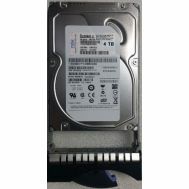 2863-4008 IBM 600GB 15K RPM 3.5Inch Fibre Channel Hard Drive With Tray For System Storage N Series. Refurbished 1 Year Warranty. 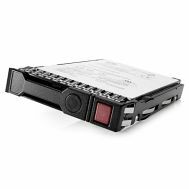 400-20560 Dell 2TB 7.2K RPM Near Line SAS 6GBits Form Factor 3.5 Inches Low Profile Hard Disk Drive In Tray For. Refurbished. 868230-001 HPE MSA 10TB 7.2K RPM SAS-12GBPS 3.5INCH LFF Midline 512E Hot Swap Hard Drive With Tray. New Bulk Pack. 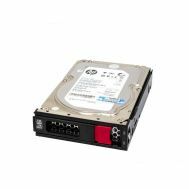 P9M82A HPE MSA 10TB 7.2K RPM SAS-12GBPS 3.5INCH LFF Midline 512E Hot Swap Hard Drive With Tray. New Bulk Pack. P9M82A HPE MSA 10TB 7.2K RPM SAS-12GBPS 3.5INCH LFF Midline 512E Hot Swap Hard Drive With Tray. New Retail Factory Sealed With Full Manufacturer Warranty. 00NC519 IBM 300GB 15K RPM SAS 12GBPS 2.5Inch Hot Swap Hard Drive With Tray. New Retail Factory Sealed With Full Manufacturer Warranty. 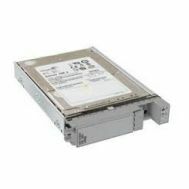 00NC519 IBM 300GB 15K RPM SAS 12GBPS 2.5-Inch Hot Swap Hard Drive With Tray. New Retail Factory Sealed With Full Manufacturer Warranty. 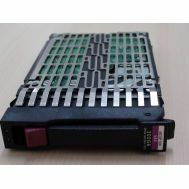 00NC520 IBM 300GB 15K RPM SAS 12GBPS 2.5Inch Hot Swap Hard Drive With Tray. New Retail Factory Sealed With Full Manufacturer Warranty. 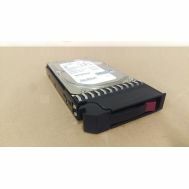 00NC645 IBM 300GB 15K RPM SAS 12GBPS 2.5Inch Hot Swap Hard Drive With Tray. New Retail Factory Sealed with Full Manufacturer warranty. 857650-B21 HPE 10TB 7.2K RPM 3.5 Inch Lff SATA-6GBPS 512e Low Profile Midline Hot Swap Hard Drive With Tray. New Bulk Pack. 857968-001 HPE 10TB 7.2K RPM 3.5 INCH LFF SATA-6GBPS 512E Low Profile Midline Hot Swap Hard Drive With Tray. New Bulk Pack. 861594-B21 HPE 8TB 7.2K RPM 3.5 Inch SATA-6GBPS LFF 512E SC Midline Hot Swap Hard Drive With Tray. New Retail Factory Sealed With Full Manufacturer Warranty. 718326-B21 HP 4TB 7200RPM SATA 3G 3.5INCH Midline Hard Drive With Tray. New Bulk Pack. 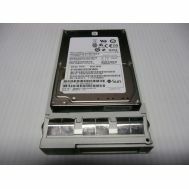 N9X09A HPE SV3000 2TB SAS 12GBPS 7.2K RPM SFF 2.5inch Midline 512e Hard Drive With Tray. New Retail Factory Sealed With Full Manufacturer Warranty. 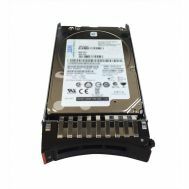 857644-B21 HPE 10TB 7.2K RPM 3.5 Inch SAS-12GBPS LFF 512E SC Midline Hot Swap Hard Drive With Tray. New Retail Factory Sealed With Full Manufacturer Warranty. 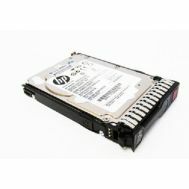 857644-B21 HPE 10TB 7.2K RPM 3.5 Inch SAS-12GBPS LFF 512E SC Midline Hot Swap Hard Drive With Tray. New Bulk Pack. 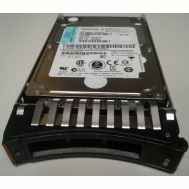 00WC010 IBM 8TB 7.2K RPM 3.5Inch NL SAS 12GBPS Hard Drive With Tray For Storwize V3700. New Retail Factory Sealed With Full Manufacturer Warranty. 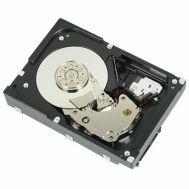 00WC009 IBM 8TB 7.2K RPM 3.5Inch NL SAS 12GBPS Hard Drive With Tray For Storwize V3700. New Retail Factory Sealed With Full Manufacturer Warranty. 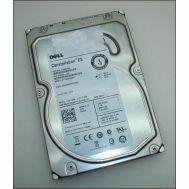 XCTT1 Dell 1TB 7.2K RPM Near Line SAS 6GBITS 2.5inch Hard Disk Drive With Tray For Poweredge Server. Refurbished. 857967-001 HPE 10TB 7.2K RPM 3.5inch SATA-6GBPS LFF SC Midline 512e Hot Swap Hard Drive With Tray. New Retail Factory Sealed With Full Manufacturer Warranty. 857967-001 HPE 10TB 7.2K RPM 3.5inch SATA-6GBPS LFF SC Midline 512e Hot Swap Hard Drive With Tray. New Bulk Pack. 857648-B21 HPE 10TB 7.2K RPM 3.5inch SATA-6GBPS LFF SC Midline 512E Hot Swap Hard Drive With Tray. New Retail Factory Sealed With Full Manufacturer Warranty. 857648-B21 HPE 10TB 7.2K RPM 3.5inch SATA-6GBPS LFF SC Midline 512E Hot Swap Hard Drive With Tray. New Bulk Pack. 857965-001 HPE 10TB 7.2K RPM 3.5 Inch SAS-12GBPS LFF 512E SC Midline Hot Swap Hard Drive With Tray. New Retail Factory Sealed With Full Manufacturer Warranty. 857965-001 HPE 10TB 7.2K RPM 3.5 Inch SAS-12GBPS LFF 512E SC Midline Hot Swap Hard Drive With Tray. New Bulk Pack. 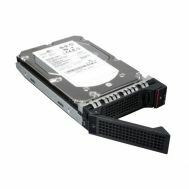 UCS-HD600G15KS2-E Cisco 600GB 15K RPM SAS 6GBPS SFF 2.5 Inch Hot-Swap Hard Drive With Tray New Bulk Pack. 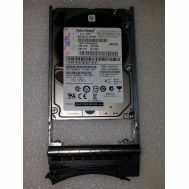 00WC008 IBM 8TB 7.2K RPM 3.5Inch Nl SAS 12GBPS Hard Drive With Tray For Storwize V3700. New Retail Factory Sealed With Full Manufacturer Warranty. 00WH123 Lenovo 8TB 7.2K RPM 3.5 Inch SAS-12GBPS Nearline G2 Hot Swap 512E Hard Drive With Tray. New Retail Factory Sealed With Full Manufacturer Warranty. 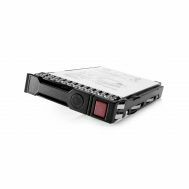 XTA-FC1CE-300G10K Sun 300GB 10K RPM Fibre Channel Hard Disk Drive In Tray. New Bulk Pack. 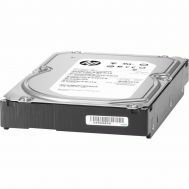 791394-002 HP 8TB 7.2K RPM SAS 12GBPS LFF 3.5inchs Sc 512e Helium Hard Drive With Tray. New Bulk Pack. 867261-B21 HPE 8TB 7.2K RPM SATA 6G LFF 3.5inch 512e Sc Midline Hard Drive With Tray. New Bulk Pack. 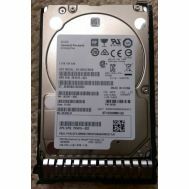 00NA273 IBM 1.8TB 10K RPM SAS 12GBPS 2.5Inch Slim Line G3HS 512E Hot-Swap Hard Drive With Tray. New Retail Factory Sealed With Full Manufacturer Warranty. 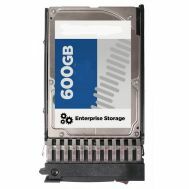 EG1800JEHMD HP MSA 1.8TB 10K RPM SAS 12G 512E Hot-Swap 2.5inch Internal Hard Drive With Tray. New Retail Factory Sealed With Full Manufacturer Warranty. 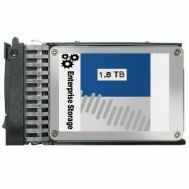 793701-B21 HPE 8TB 7.2K RPM SAS 12GBPS LFF 3.5inch Sc 512e Helium Hard Drive With Tray. New Retail Factory Sealed With Full Manufacturer Warranty. 4XB0G88737 Lenovo 1.8TB Enterprise SAS-12GBPS 2.5Inch 10K RPM Hot Swap Hard Drive With Tray For Think Server Gen5. New Retail Factory Sealed With Full Manufacturer Warranty. 793772-001 HPE 8TB 7.2K RPM SAS 12GBPS LFF 3.5inch Sc 512e Helium Hard Drive With Tray. New Retail Factory Sealed With Full Manufacturer Warranty. 819203-B21 HPE 8TB 7.2K RPM SATA 6G LFF 3.5inch 512e Sc Midline Hard Drive With Tray. New Bulk Pack. 00FN209 IBM 4TB 7.2K RPM SAS 12GBPS Nearline 3.5Inch Hot Swap Hard Drive With Tray For IBM G2HS 512E. New Retail Factory Sealed With Full Manufacturer Warranty. 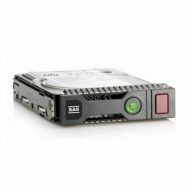 00FN210 IBM 4TB 7.2K RPM SAS 12GBPS 3.5Inch Nearline G2 512E Hot Swap Hard Drive With Tray. New Retail Factory Sealed With Full Manufacturer Warranty. 820033-001 HPE 8TB 7.2K RPM SATA 6G LFF 3.5inch 512e Sc Midline Hard Drive With Tray. New Bulk Pack. 00WC012 IBM 2TB 7.2K RPM 2.5 Inch NL SAS 12GBPS Hard Drive With Tray For Storwize V3700. New Retail Factory Sealed With Full Manufacturer Warranty. 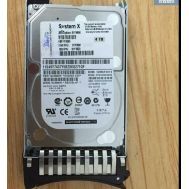 00WC013 IBM 2TB 7.2K RPM 2.5Inch NL SAS-12GBPS Hard Drive With Tray For Storwize V3700. New Retail Factory Sealed With Full Manufacturer Warranty. 00WC013 IBM 2TB 7.2KRPM 2.5 Inch NL SAS-12GBPS Hard Drive With Tray For Storwize V3700. New Retail Factory Sealed With Full Manufacturer Warranty. 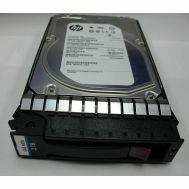 793772-001 HPE 8TB 7.2K RPM SAS 12GBPS LFF 3.5inch Sc 512e Helium Hard Drive With Tray. New Sealed 1 Year Warranty.